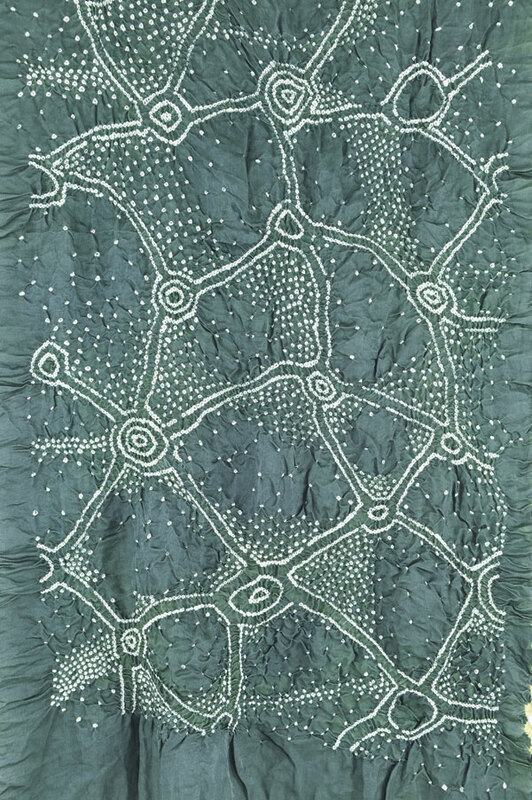 Take advantage of a unique opportunity to see and shop in a Global Textile Marketplace when the ClothRoads trunk show brings a range of beautiful items from around the world to the Fine Line Creative Arts Center. 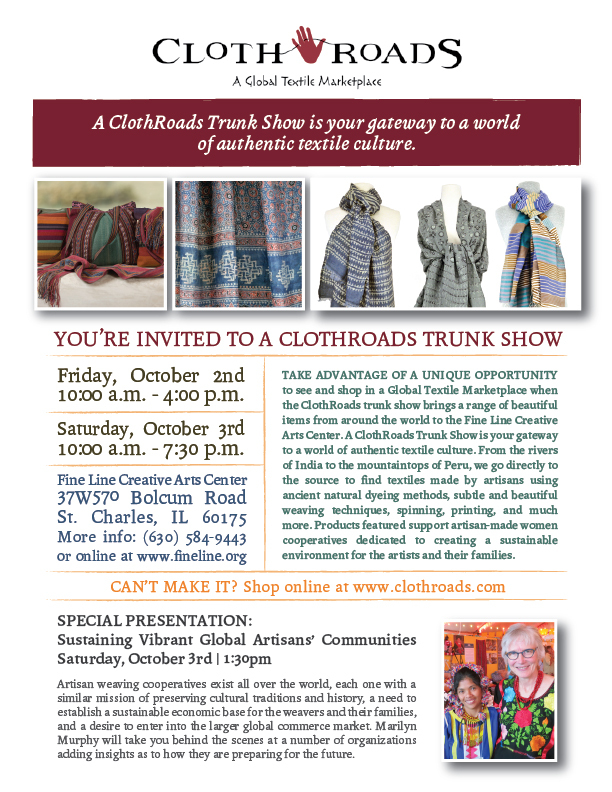 A ClothRoads Trunk Show is your gateway to a world of authentic textile culture. From the rivers of India to the mountaintops of Peru, we go directly to the source to find textiles made by artisans using ancient natural dyeing methods, subtle and beautiful weaving techniques, spinning, printing, and much more. 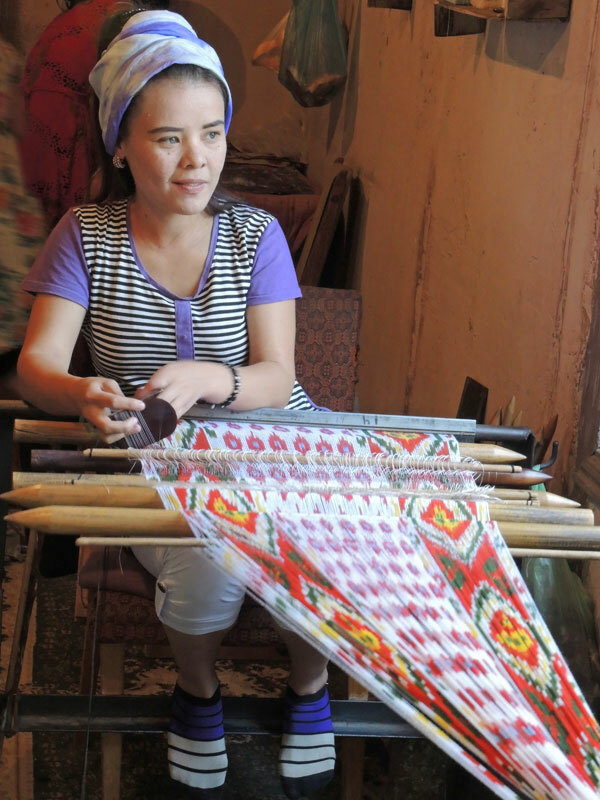 Products featured support artisan-made women cooperatives dedicated to creating a sustainable environment for the artists and their families. 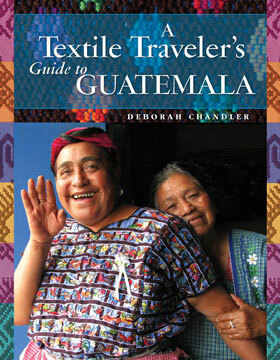 Friday, Oct 2, 2015 10 a.m.- 4 p.m.
Saturday, October 3, 2015 1:30 p.m.
Artisan weaving cooperatives exist all over the world, each one with a similar mission of preserving cultural traditions and history, a need to establish a sustainable economic base for the weavers and their families, and a desire to enter into the larger global commerce market. Marilyn Murphy will take you behind the scenes at a number of organizations adding insights as to how they are preparing for the future.